Trachten Waistcoat Alonso in Emerald Green. The stunning Alonso waistcoat in emerald green boasts high-quality craftsmanship. 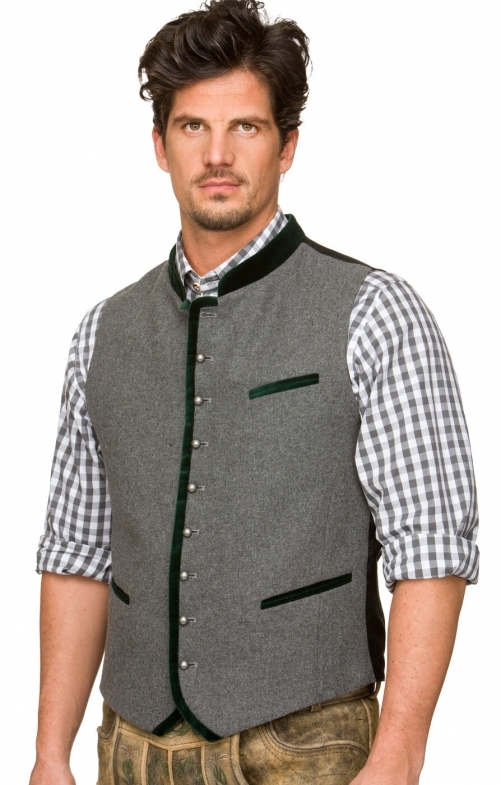 The black piping on the two side pockets, chest pocket, collar and placket perfectly offset the block colour of the vest and worn with a checked shirt and traditional Lederhosen, this waistcoat is a great choice for your Oktoberfest costume. The intricate detail on the back is especially fashionable. Made from 100% cotton for a supremely comfortable fit and with the lining being 100% polyester, this item is both easy to wear and easy to wash.